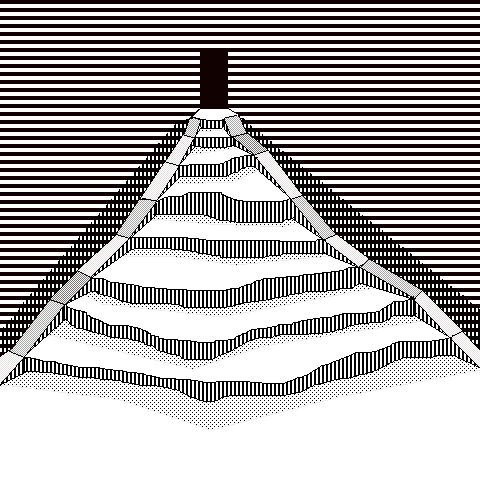 Like an image from an old Macintosh hypercard game. Good one. Adding to the mystical aura is the way the stairs push back into space even though the horizontals are in sharp focus and pop forward on the screen.